Cosmo’s Natural Hair Styling Gel is made of all natural ingredients, and free of harsh chemicals that can damage your hair. Containing Pro Vitamin B5, our Hair Gel provides a medium hold for all hair types, without leaving a sticky look or residue. Be it the modern or the messy look our hair gel would achieve both these styles. 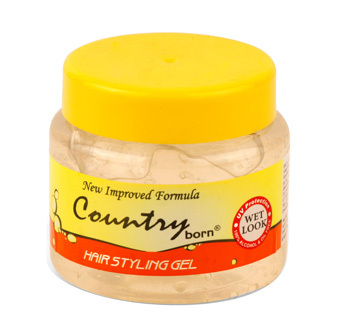 Straight or curly strands, COSMO’s Country Born Hair Styling Gel can hold anything. Based on a scientifically developed system, this non-sticky alcohol and oil-free hair gel is meant to hold your hairstyle for long. Besides, its Pro Vitamin B5 molecules help in improving hair strength and providing UV protection.